Man Mohan Sondhi had the good fortune to be born in 1933 in Ferozepore, which is a small town in Punjab Province, India. Before he was able to make the move on his own, his whole family moved to Delhi, where, like any young man with cosmopolitan ambitions, he elected to stay for his education. This he pursued first at Hindu College, then at Delhi University, and finally at the prestigious Institute of Science in Bangalore. With the equivalent of a Master’s Degree in hand, Sondhi found himself in that too common position of being both under and over-qualified for independent India, and therefore he set sail for that oft-spoken American Mecca, Madison, Wisconsin. The University of Wisconsin meant access to the world’s most advanced technologies of research in the physical sciences, but it also meant American Folk music. In both of these realms Sondhi excelled and both he would then bring back to India upon graduation. 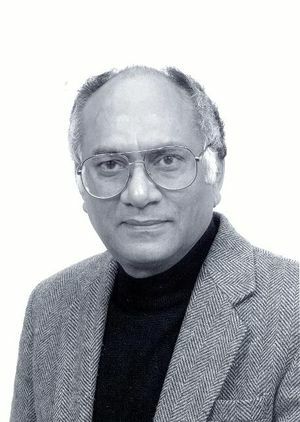 But even now as part of the faculty, the Institute of Science at Banglore failed to capture Sondhi’s research ambitions in acoustics and electronics, and so when the opportunity came he once again crossed one of the world’s larger oceans for a wintery capitol, this time Toronto, Ontario. But the stint at the University of Toronto proved brief, for a dream came true and Sondhi (despite Cold War prohibitions against hiring non-citizens) was awarded a position at Bell Laboratories in New Jersey in 1962. After so many years itchy feet, Sondhi was due for some constancy and domesticity, and this he got by staying at Bell Labs for the following 39 years in the Information Principles Division. The academic atmosphere of Bell Labs at the time meant that researchers were hired for their general abilities, not to work on specific issue, such that they would be capable of solving whatever diverse problems came their way. For Sondhi, such an problem arose in his first week at the Labs, for just as he was landing in New Jersey, the Telstar satellite was being launched into space. As a specialist in speech science and signal processing, Sondhi recognized that a future of satellite communications would require developing a technology to cancel the 600 millisecond signal echo created by the delay of transmission. Although widespread application was long off, Sondhi and a group of signal processing experts at the Labs eventually created the echo canceller that honed satellite transmissions from cacophony to clarity. This page was last edited on 4 February 2016, at 15:02.